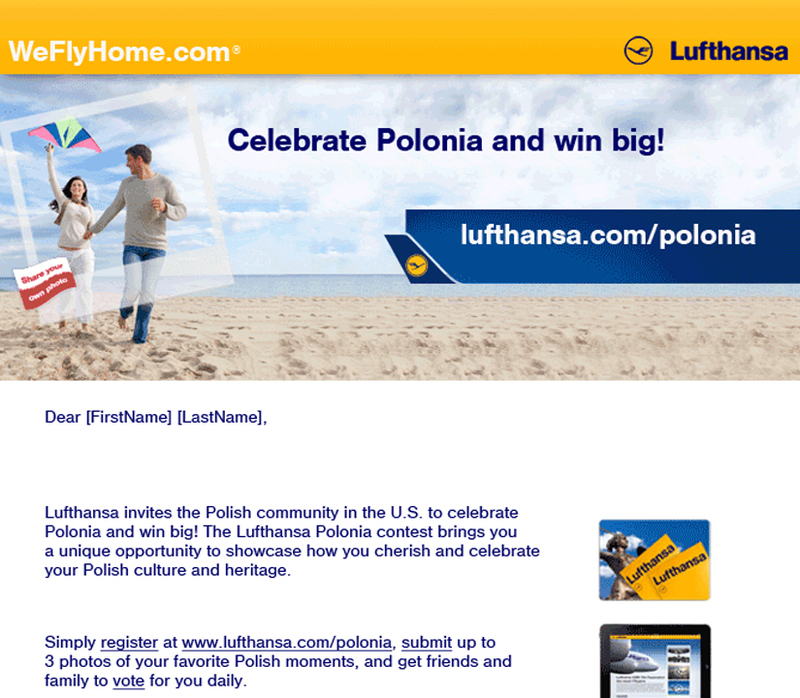 ObjectDC developed an online engagement campaign to trigger excitement, encourage participation, and foster shareability within the Polish-American community. 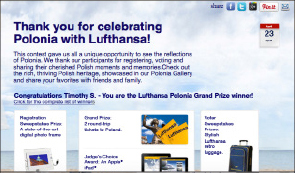 This photo contest for Lufthansa was executed on a microsite in English and Polish. 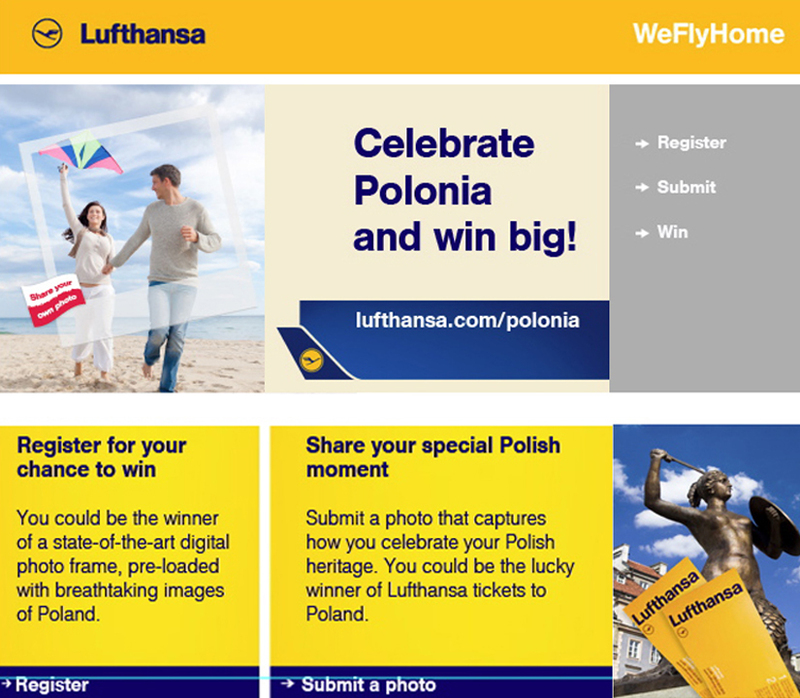 Weekly voter and registration sweepstakes helped fuel user engagement by encouraging participants to share through social media vehicles such as Facebook, Twitter, Google+, Pinterest and Email. 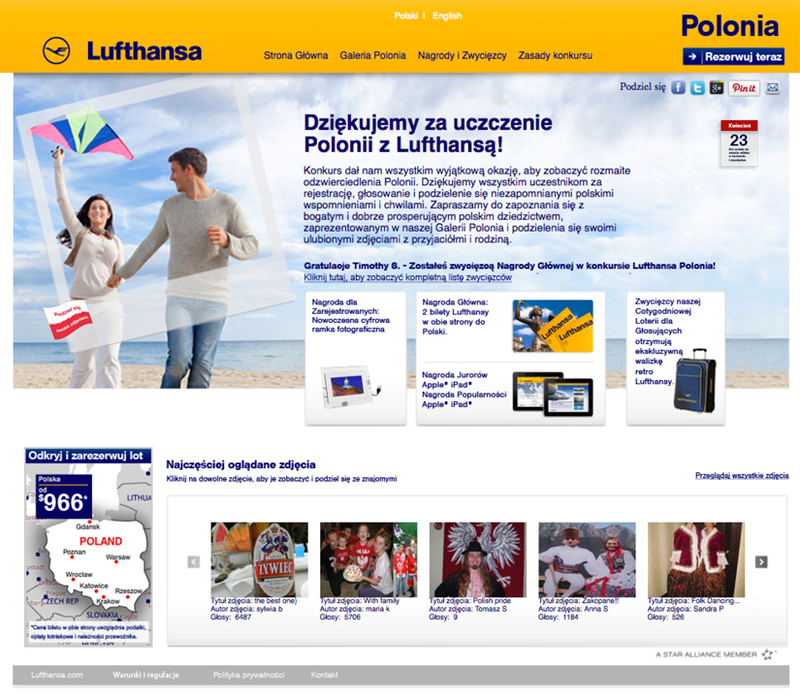 Also, ObjectDC activated an online banner campaign called "Unforgettable Moments" to encourage the Polish-American community to fly Lufthansa. 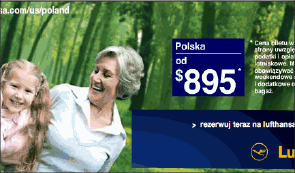 Various animated flash banners promoted travel to specific cities in Poland. 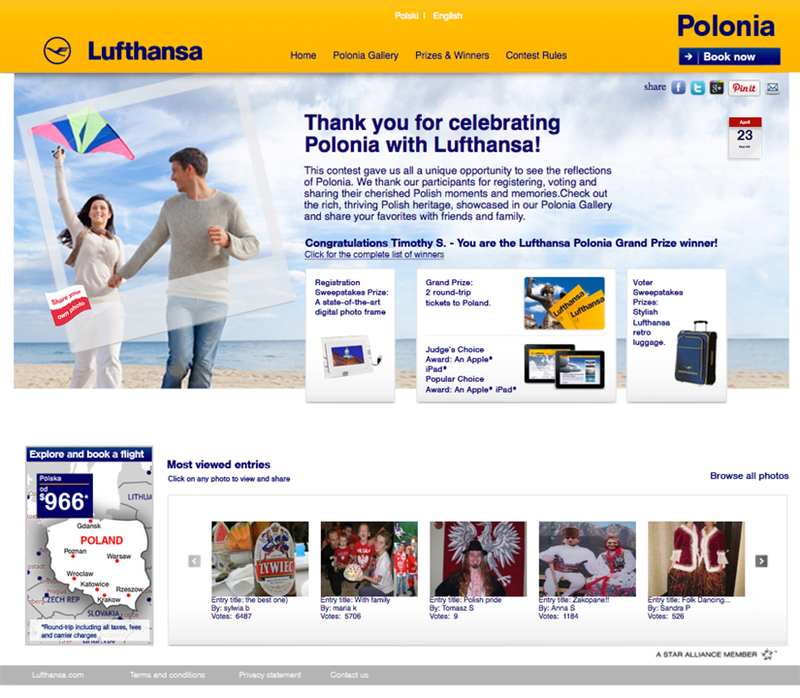 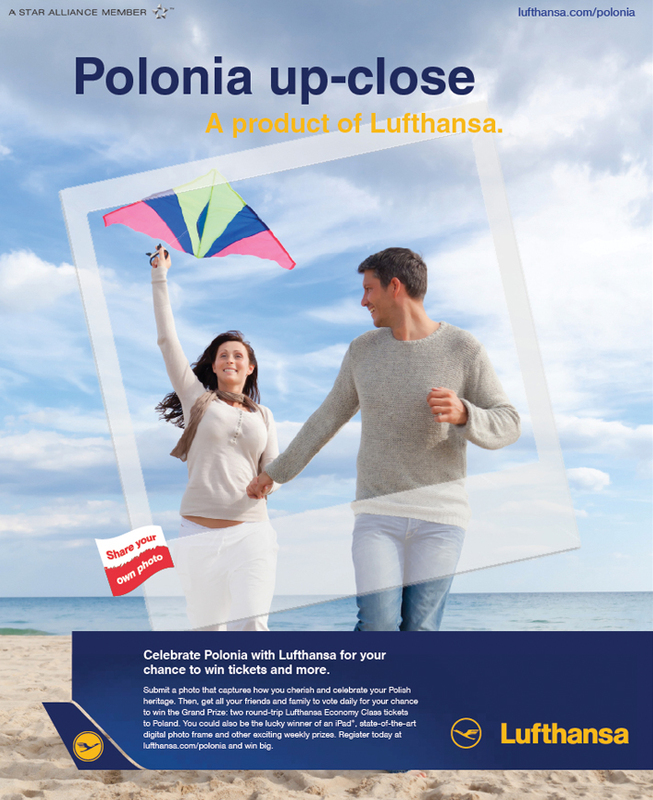 These campaigns created a stronger connection between the Lufthansa brand and the Polish Community in the US and increased traffic to their website.